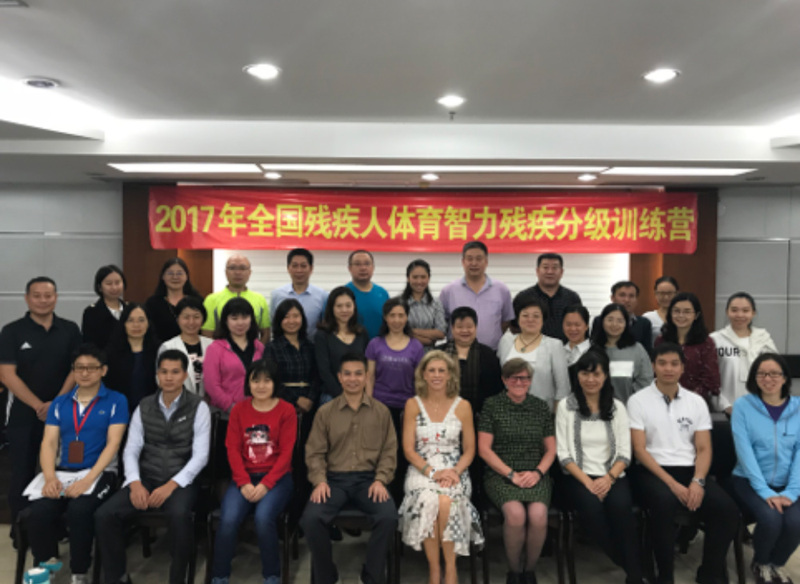 Working closely with the Australian Department of Foreign Affairs through its Asian Sports Partnership program, Sport Inclusion Australia’s CEO Robyn Smith and Basketball representative Kelly Bowen returned to China this week to continue developing opportunities for young students with an intellectual impairment. 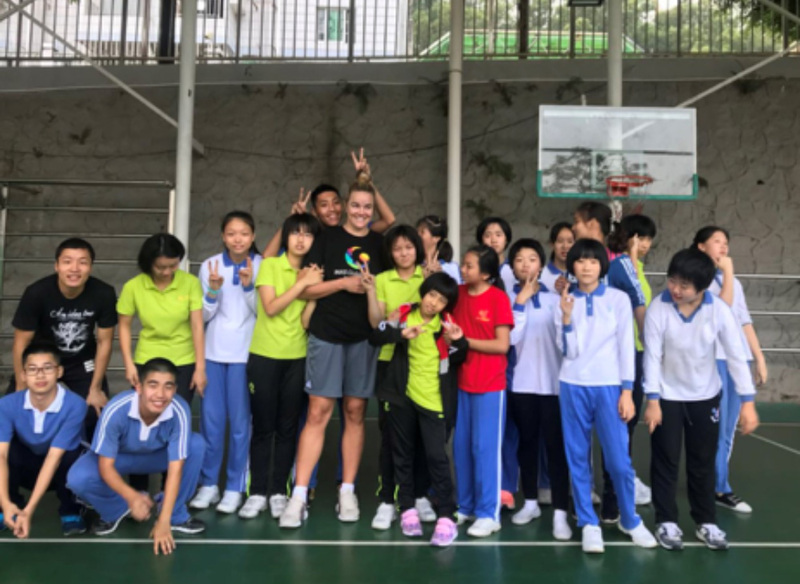 Smith and Bowen made their first visit to China in May this year delivering basketball programs to students and teachers at a special school in Shenzhen. This week’s visit was the second phase of the program and saw Bowen continue the coaching program, while Smith met with members of the Chinese National Paralympic Committee in Guangzhou to coordinate an Eligibility Forum. The aim of the program is to enhance the basketball skills of children with an impairment primarily girls and to build the capacity of local coaches and to be fully inclusive and ensure these initiatives are sustainable. The Eligibility Forum is the next stage of the program which will help to share the eligibility procedures and processes necessary for an athlete to compete on an International level in an INAS or Paralympic pathway. Sport Inclusion Australia also worked closely with Basketball Victoria and Emerson School to produce some filmed coaching resources for their Chinese counterparts, which was warmly received. China dominated the medal haul at the Rio Paralympics but did not have one athlete with an intellectual impairment in their team due to lack of accessible eligibility processes. Since her first visit to China, Smith has been working with her International organization, INAS and local businesses in Australia to look at ways of making the eligibility process accessible to China. With the aid of Professor Jan Burns, Smith has arranged for the delivery of an Eligibility workshop, the first step in opening up the International pathway for the young players participating in the Basketball program and for all athletes with an intellectual impairment in China. Smith can’t speak highly enough of the organisations in China who have grasped this opportunity passionately and demonstrated a commitment to inclusion and providing more equitable international opportunities for Chinese athletes. 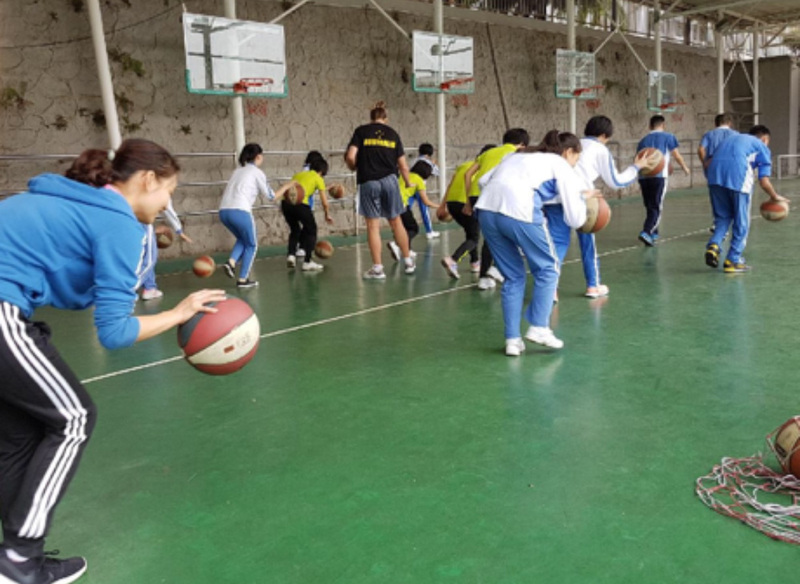 While Smith and Burns have delivered the Eligibility workshop in Guangzhou, Bowen was working away delivering the basketball program to students and teachers at Yuanping school in Shenzen. “It has been nearly 5 months since our initial visit and the improved skill level and confidence of students has been amazing” said Bowen. With the success of the program to date and the acceptance and commitment of the Chinese, Smith is keen to start working on other sports and opening up the program to other countries. “The funding from the Asian Sports Partnership has enabled us to develop a program model that can easily be transferable to other sports and other countries, and make a difference to the lives of so many people with an intellectual impairment. ” Smith said. More immediately with the INAS Global Games in Brisbane in 2019, the participation of China is now a reality.